As the shoes for the Fall/Winter trends are over, we can see that the designers are going back to the basics and to the heart of their collection. Gone are the days of luxury or flashy pieces as basics are what people are into nowadays. Combining a hint of modern lux into the simplicity of this year’s Fall/Winter collection for men, the fashion looks are effortlessly stylish. Check out the 2018 Fall/Winter menswear pieces that are hitting the season by storm. This classic look which was often understated before is coming back with an edgy touch to it. Men are seen flaunting the business class look which screams the Wall Street environment but with modern twists. It appears like a workwear for sure but it definitely portrays that smart masculine charm. The striking red colour can hardly be seen on the runway but when it does emerge, it definitely comes out looking modern with some elegance intertwined. This year, Fall/Winter collection is booming with this powerful bright colour even for the womenswear. From jackets, pants to shoes, this is a statement colour trend which is rocking this season. It absolutely helps lift the mood and confidence on a day out. Embracing the casual styles of rebel, free and in control, the rocker style is absolutely one of the popular trends this season among men. Black from head-to-toe and leather jackets are the key factors of the whole look. 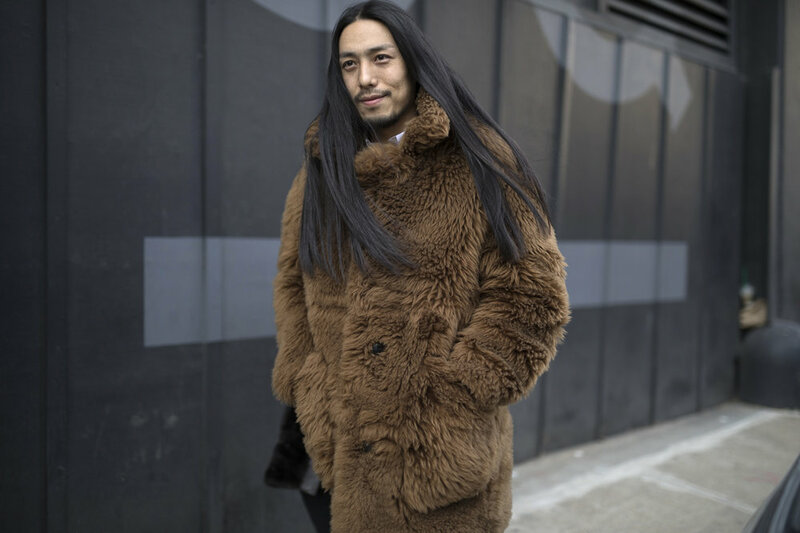 Furs always stay on the list every season as it gives that warmth feeling and stylish appeal. Reigniting its appeal this year with influences of the vintage elements and heavy fur, the fur coats are slaying its edge everywhere we go. As the fashion scene is popular with athleisure, designers have taken into account in producing some edgy technical sportswear marrying technology with modern luxury. This season, men are seen rocking the casual edgy outfit all around town. So what is your favourite trend for this Fall/Winter season? Share it in the comment section below.